Without Spending A Fortune On Advertising? Do you run a Business? Do you have a client mailing list, and a regular effective newsletter, that brings you new customers, and retains the interest, engagement, and SPENDING of existing clients? If not - WHY NOT?! Creating an effective email newsletter for your business requires having the 'right content', but there's so much more to it than that. We all receive hundreds of emails every day - WHAT ARE YOU DOING to ensure that your newsletter is something that your customers look forward to receiving, and engage with when it arrives in their email inbox? From your subject line to your layout, your ability to engage your target audience and generate leads will depend not just on how you present your information, but on what you say and how you say it. If you do have a reliable, regular newsletter right now, is it developing and deepening your relationship with your clients? Is it measurably, demonstrably converting to sales and client loyalty? A monthly Email Newsletter is the most cost effective, value for money, and potentially sharpest tool in your business toolbox. If you’re not sending one out right now, you’re missing a great opportunity to connect with your customers and prospects. But if you are sending one and doing it wrong, it could be even worse - client dissatisfaction, frustration, or even alienation. Do you want to risk that? 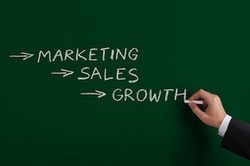 Are You Ready to Get More Customers and Grow Your Business? Starter Business Newsletter Package - Special Offer! Now Ask Yourself: what would a quarter page advert in the newspaper cost you? (Hint: it's currently €9,440 for a colour quarter in the Irish Times). Newspapers have a wide circulation, certainly. But... how many people will even see your advert, or notice and remember and ACT ON IT if they do see it? How many of those people are your existing customers, who already like and trust your business? How many of those people are your ideal target market? How many will get a pen, write down your web address and go click those links later, or your phone number to follow up and make a purchase? Doesn't it make MORE sense to focus your marketing budget on those people who already have a relationship with you, those customers and clients who definitely want to engage with you, and have even bought from you already? 'All Done' Business Newsletter Package - Special Offer! Specialised Report 2 weeks after newsletter send, to enable clearer focus and choice to progress and Grow Your Business! Free Special Report, so you can make an informed choice on where you want to go from here! We will take care of everything, from start to finish, for a full 6 months, and report it all back to you on a monthly basis - so all you have to do is sit back and watch your business grow! Limited 40% Discount means you pay just €288 per mth, to let us take care of everything while you watch your Business Grow! YOU'LL BE SAVING YOUR BUSINESS OVER €1,150! We will take care of everything, from start to finish, for a full year, and report it all back to you on a monthly basis - so all you have to do is sit back and watch your business grow! Limited 40% Discount means you pay just €264 per mth, to let us take care of everything while you watch your Business Grow! YOU'LL BE SAVING YOUR BUSINESS OVER €2,110!